Christopher 'Kit' Hatton Turnor, the architect of Watts Gallery, always seemed to me a shadowy figure, a mystery man, and I desired to know more about him. So I've been on a two-year journey with this fascinating man, a young friend of Watts who was privileged to design the store for Watts's life's harvest. I have spent happy hours in libraries and collections, visited Turnor's home and many of his buildings and talked to extremely interesting and generous people. As background I read his books on agriculture in the Bodleian in Oxford. I visited the Society for the Protection of Ancient Buildings in its eighteenth century town house in Spitalfields to see letters about how he saved Clonfert Cathedral from over-restoration and the museum of English Rural Life at Reading University to read his letters (one to his uncle complaining about committees!) and minutes of the Central Landowners Association which he helped to found. Puttenham Village archive yielded legal documents and photographs from 1911 of Berthorpe, the house he designed for his aunt Bertha. While the RIBA library could find only his obituary from 'The Times', Woking History Centre produced drainage plans of Copse Hill, Ewhurst and a pamphlet on agriculture, which his uncle Algernon sent to Lord Onslow. 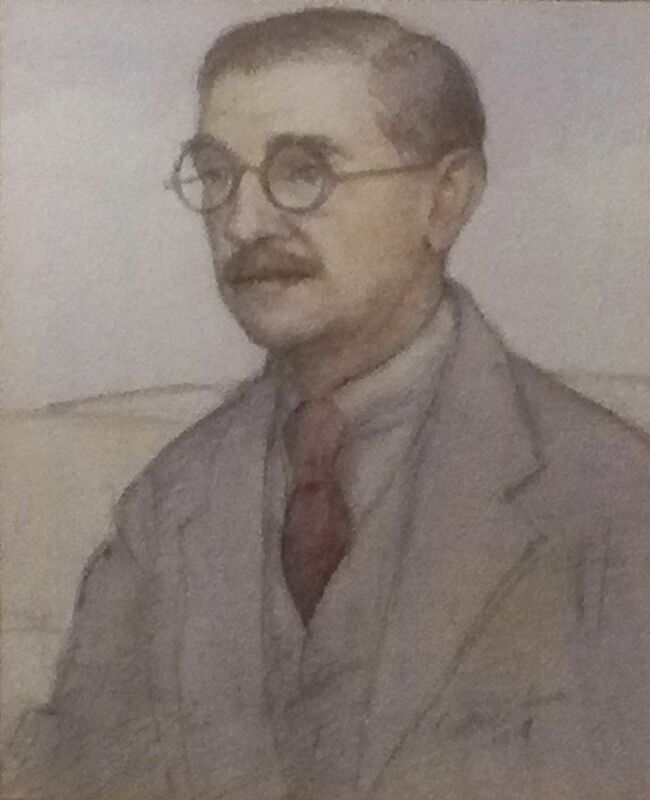 The library of Goddards (a Lutyens house in Abinger) contained an early book on rural housing with a chapter by Turnor, a noted expert on the subject. A major source has been Kit's own account of 'Incidents' in his life and a few years of a journal, all clearly handwritten; here we learn of his eccentric childhood camping in North America, his work as an architect, his unexpected inheritance and his campaigns as an agriculturalist. There is nothing I enjoy more however than seeing buildings on the ground; so off we went to Stoke Rochford in Lincolnshire to stay in the house he inherited with 20,000 acres in 1903, to see his fireplace and staircase and his various gifts to the parish church, including a reredos by Mary Watts; and of course the main entrance with cattle grid – Turnor invented this new way of entering your estate without the bother of opening gates. In nearby Grantham we found his pioneer social housing and small-holdings. Then to Kiplin Hall in Yorkshire, the home of his wife Sarah, where there are Watts portraits and the curator had a special exhibition about Sarah, 'My darling Sally'. At Belton House, the former home of Sarah's aunt Brownlow, we saw more Watts portraits; either the Wattses or the Brownlows introduced Kit and Sarah. In Eastleigh we tracked down the amazing Stoneham War Shrine Turnor designed for a friend's family, now beautifully restored. More locally we visited Hurtwood House, where the dedicated owner has spent years restoring this great building, possibly Turnor's best. Copse Hill in Ewhurst is nearby. Berthorpe in Puttenham is within walking distance of Limnerslease, the Wattses' Arts & Crafts home: Mary Watts used to walk there to see Kit and his family. And the people… I have spoken to Turnor's family on the Stoke Rochford estate, who kindly gave permission to use a copy of some of Kit's manuscripts. 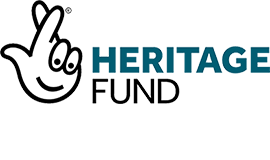 I have been in contact with generous people who have shared their expertise with me: Desna Greenhow; Sarah Sullivan; Margaret Richardson on Lutyens; the archivist at Christchurch, Oxford; the Royal Agricultural College; architect Michael Edwards; David Frampton of Stoke Rochford Hotel; Harry Willis Fleming, restorer of the Stoneham shrine. Next stop might be Manchester to read the childhood diary of Turnor's aunt Dora… And of course there have been many visits to Watts Gallery, to absorb the building, so well-designed, from its plan to its delightful chimneys, to see the fragile floorplan and the wonderful memorial album Kit prepared after Watts's death. Kit Turnor was a fascinating man, an outsider turned insider, an architect, landowner, agriculturalist, conservationist, craftsman, benefactor, leader of social housing, traveller, campaigner. Watts Gallery can be proud of him.